Iowa Car Accident Statute of Limitations | Hupy and Abraham, S.C.
How long do I have to file a car accident case in Iowa? Iowa, like other states, limits the amount of time that an injured person has to file a lawsuit. This limitation is controlled by a state law is known as the statute of limitations. While lawsuits may be filed after the statute of limitations has expired, the defendant may raise the expired statute of limitations as a defense and the court will dismiss the case without any financial relief for the plaintiff. 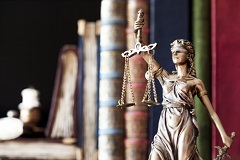 Statutes of limitations are often seen as benefiting the defendants in a personal injury case because the defendants do not have to live with the possibility of an injured party filing a lawsuit indefinitely. However, there are also benefits to the plaintiff. When you file a car accident case promptly after an accident, there is a greater likelihood that useful evidence will be available and that you will get you recover more, sooner. What Does the Iowa Statute of Limitations Mean for Car Accident Victims? Generally, people who have been injured in a car accident, or the estate of a person who was killed in the crash, have two years from the date of the accident to file a lawsuit. However, this deadline may be extended if you were under the age of 18 at the time of the crash. If you were a minor when you were hurt in an Iowa car crash then you have either two years from the date of your accident or until your 19th birthday to file a car accident case. If you have any questions about how the statute of limitations applies to your car accident case then we encourage you to call us today at 1-800-800-5678 to schedule a free, no-obligation consultation with an experienced lawyer. Posted on 03/11/2019 Are Your Children in the Right Car Seats?